Ukrainians have old national traditions. 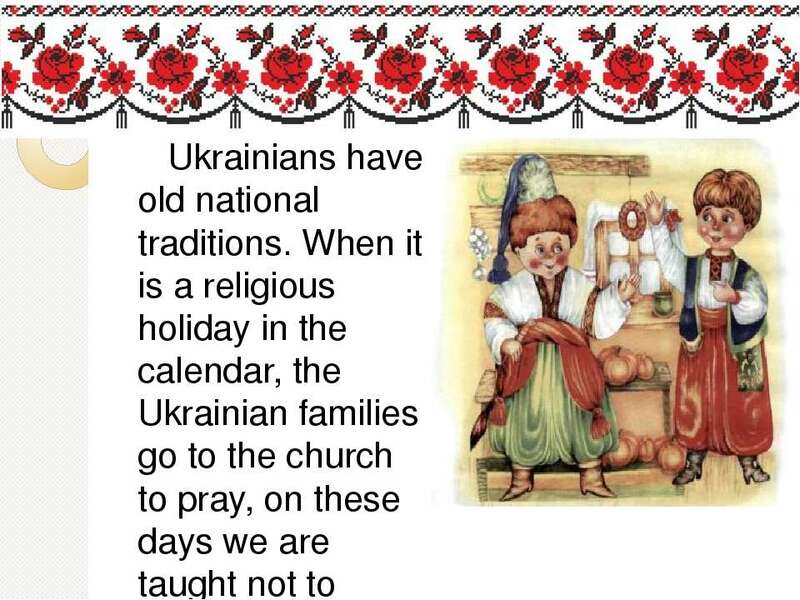 When it is a religious holiday in the calendar, the Ukrainian families go to the church to pray, on these days we are taught not to work. 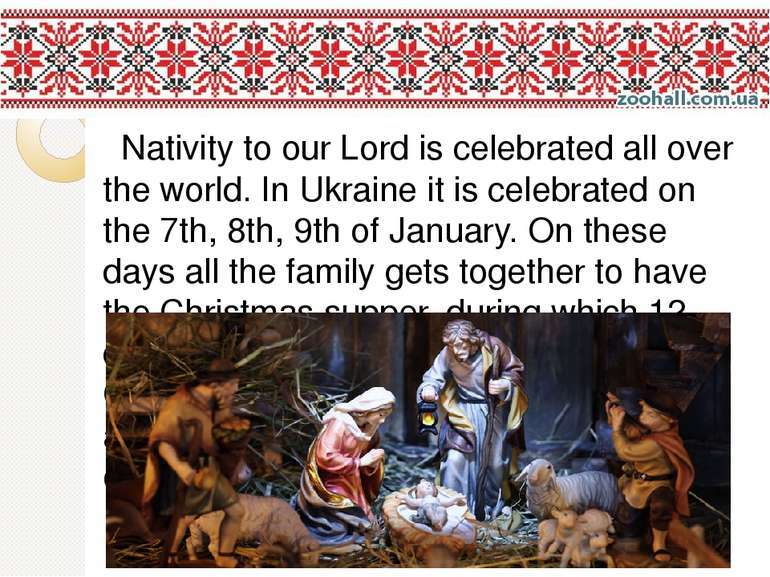 Nativity to our Lord is celebrated all over the world. 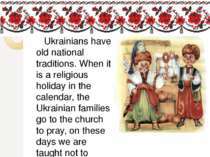 In Ukraine it is celebrated on the 7th, 8th, 9th of January. On these days all the family gets together to have the Christmas supper, during which 12 dishes must be put on the table. 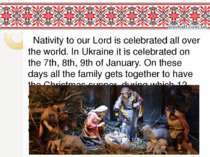 Christmas carols are sung by children and grown-ups. It is a tradition to go from one house to another singing carrols. 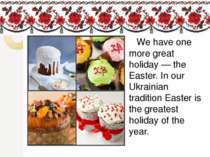 We have one more great holiday — the Easter. 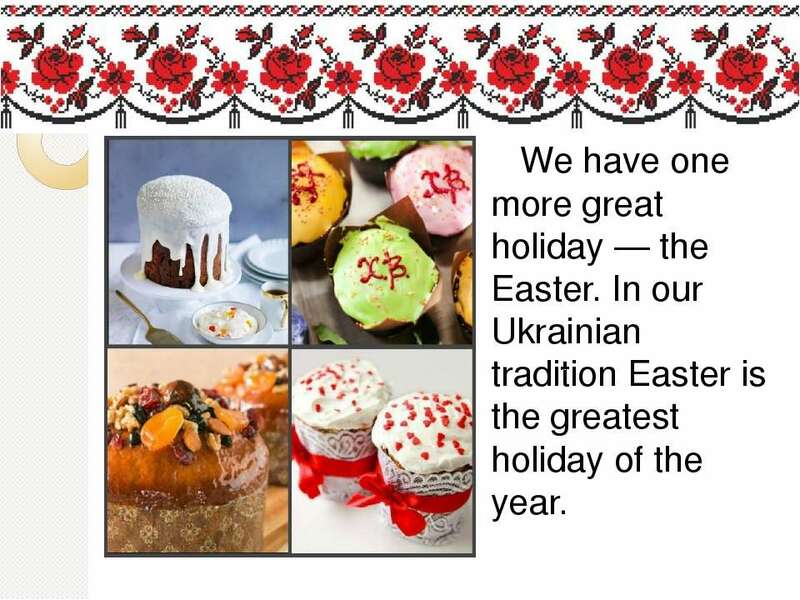 In our Ukrainian tradition Easter is the greatest holiday of the year. In Ukraine people make Easter baskets. They cook an Easter cake. It is called 'paska' or babka. 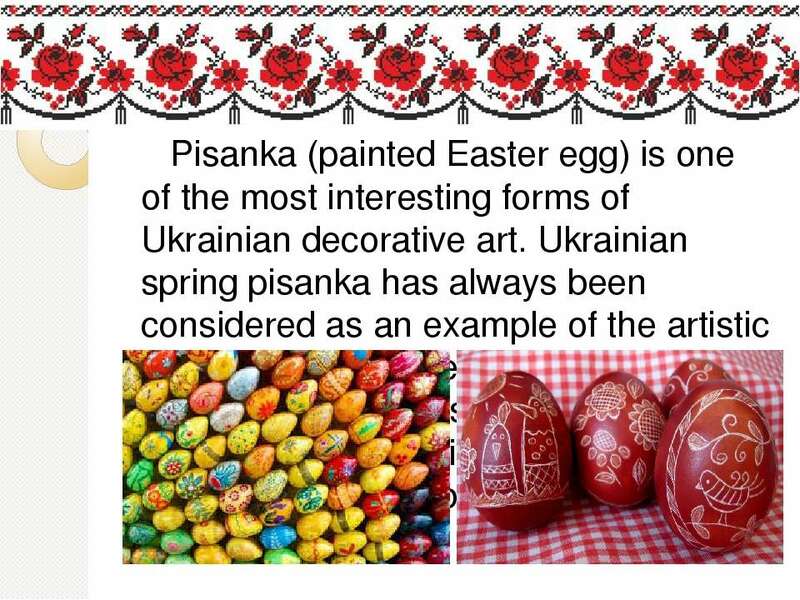 Ukrainian people paint eggs beautifully. 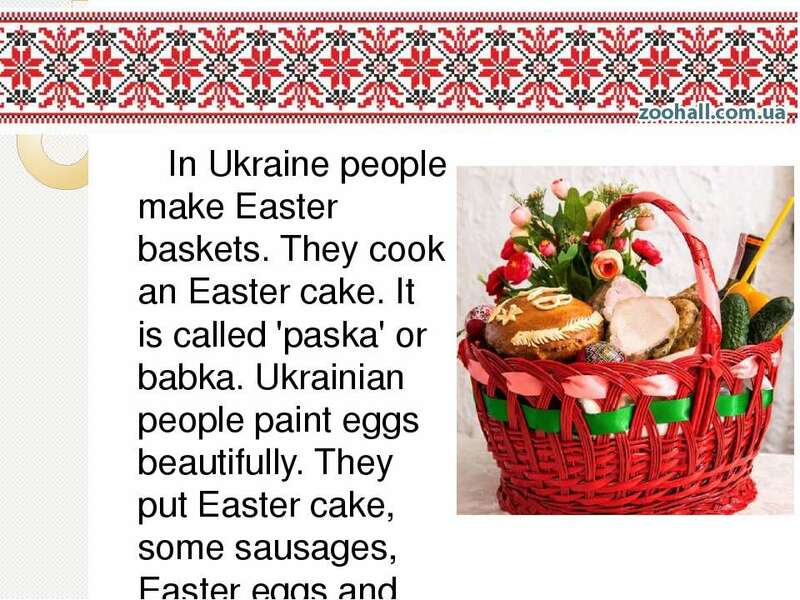 They put Easter cake, some sausages, Easter eggs and some ham into their baskets. On Easter they go to church with the baskets. After that, each family usually has a holiday lunch or dinner. 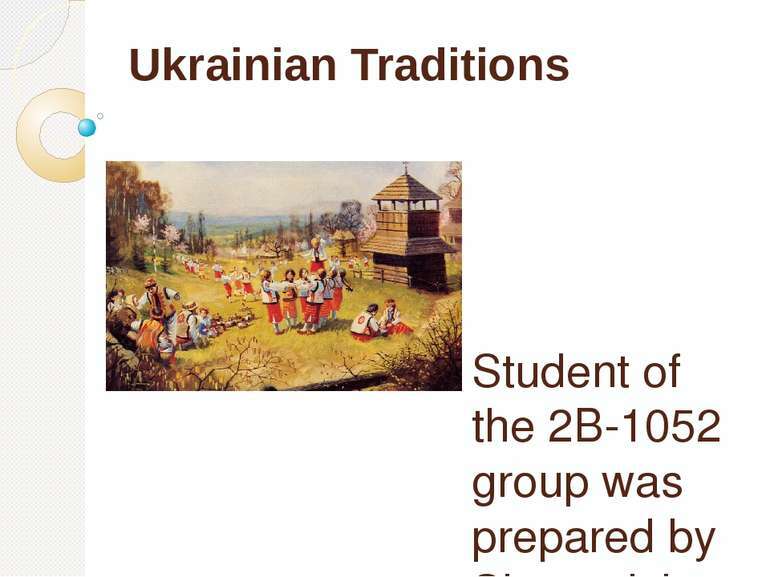 They thank God, sing Easter songs and have fun. 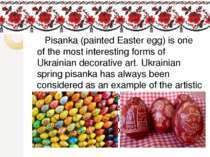 Pisanka (painted Easter egg) is one of the most interesting forms of Ukrainian decorative art. 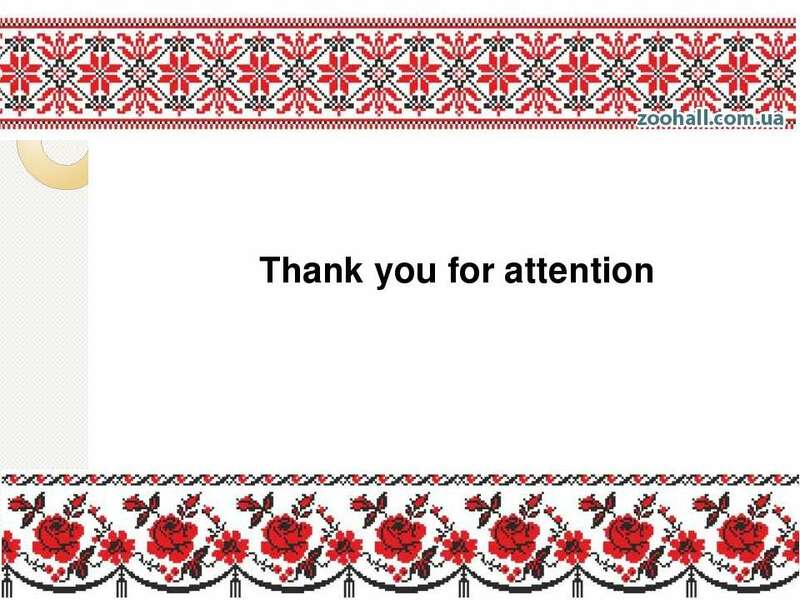 Ukrainian spring pisanka has always been considered as an example of the artistic taste. 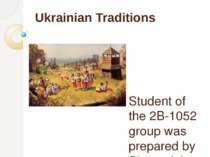 It is no wonder that the great Ukrainian poet Taras Shevchenko, in describing the Ukrainian countryside compares it with a beautiful pisanka.